Americans celebrate Labor Day every first Monday of September. This holiday celebrates the efforts of workers. It is considered a secular day of rest, with most workers and students getting the day off. The holiday is more casual than May Day labor celebrations, which tend to be more confrontational celebrations associated with socialism. Many observers relax at home or head to outdoor recreational activities, such as boating, barbecues, and camping. It has come to celebrate the end of summer, as many schoolchildren start school after Labor Day. It may also be marked with firework shows and other patriotic events. Labor Day has also become associated with retail sales, as many shop owners try to take advantage of the customers’ day off. It is one of the largest sales events of the year, meaning retail employees actually have to work more on this day. Parades are the most common mode of celebration, which often feature processions of labor groups. One of the larger parades is held in Brooklyn. The parade boasts up to three million participants from a variety of ethnic groups. 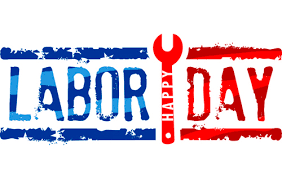 A machinist named Matthew Maguire, secretary of the New York Central Labor Union, proposed a Labor Day holiday in 1882. Some believe it was actually Peter J. McGuire of the American Federation of Labor that proposed the holiday that same year. It became a federal holiday in 1894, but 30 states had already recognized the holiday individually. President Grover Cleveland signed the bill, the legislation of which was rushed following the Pullman Strike. Early celebrations of the holiday focused on honoring labor unions. The Pullman Strike occurred when workers in the Pullman Palace Car Company held a strike as a response to lowered wages. The American Railway Union came in to represent the rail car factory workers and organized a boycott of the company’s associated rail lines. In the resulting riots, 30 people were killed. Cleveland sent the army orders to prevent strikers from preventing movement on rail lines, inciting violence from the strikers. The strike ended due to collapse after the injunction. The holiday tradition is also owed to the Knights of Labor, who held a large labor-themed parade in 1882. Other labor associations continued to make Labor Day celebrations popular. America’s labor force consists of 155 million people older than 16. The average worker commutes for about 25 minutes. Laborers in the 1800s often worked twelve hours a day, every day of the week. The median worker’s wage in 2010 was $36,931 for women and $47, 715 for men. Oregon was the first state to celebrate the holiday officially. In other parts of the world, Labor Day or May Day celebrations are more political in nature.